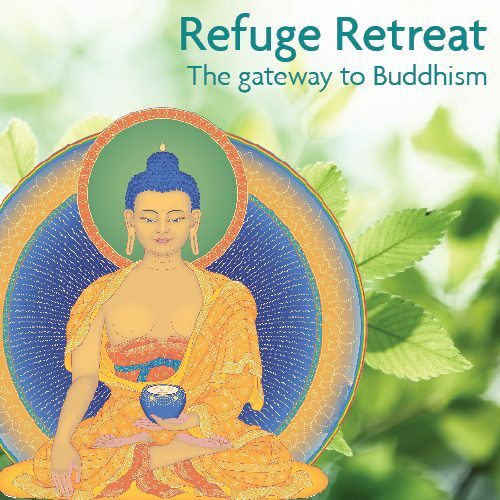 View cart “Silent retreat day: 13th July” has been added to your cart. Through listening, contemplating and meditating on these retreats we can improve our concentration, strengthen our positive energy and achieve special feelings of clarity and tranquillity. Everyone is welcome, although some previous experience of Buddhist practice may be helpful. Going for Refuge is the root of Buddhist practice. It means turning to Buddha, Dharma, and Sangha for protection, and using the teachings to establish a refuge within our own hearts. There will be a short introduction at the start of each session, and the meditations will be guided. If you make an accommodation request with your booking, we will confirm this by email as availability is limited. You can then pay for the accommodation once it is confirmed. If you wish to book one extra night accommodation before or after the course, prices are per person including meals – Single room £40, Twin room £35, Dorm £20. Please contact us.